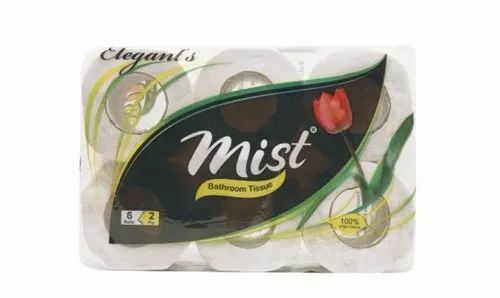 Founded in the year 2010, we "Elegant Hygiene Private Limited" are leading organization betrothed in manufacturing and supplying qualitative array of Aluminum Foil, Facial Tissue, Kitchen Towel, Bathroom Tissue, Kitchen Roll, Roll Towel and Paper Napkin. We are a Private Limited Company that is located at Gurgaon (Haryana, India). We have established a wide and ultramodern infrastructural unit that comprises of sub-departments like marketing, admin, logistic, quality testing, transportation, procurement, R&D, manufacturing, sales, packaging, warehousing, etc. All the departments managed under the supervision of devoted and capable professionals who have vast understanding of this domain. We have installed the most modern devices, equipments and machinery that assist us to fulfill the diverse choices of the clients in a predefined time period. We are offering our products under the well known brand like Alupak and Mist.